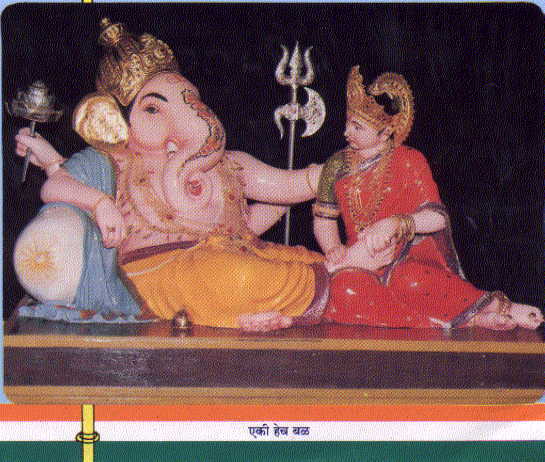 Akhil Mandai Sarwajanik Ganeshotsav Mandal. This Ganesh Idol is in resting position with "Sharda-wife of Lord Ganesh"
during the festival and also throughout the year. a great service to the poor people.This Mandal has provided "Rest House"
for Piligrims of Alandi and many more social activities are carried out by the Mandal. This year Mandal is displaying the scene of "ART TEMPLE"